Automotive Technology focuses on training students like you to perform as highly skilled and respected technicians in a career field where reliable job opportunities abound. You will gain the upper hand in employment pursuits through this formal automotive knowledge in the maintenance and repair of automobiles and light trucks. Today, vehicles are more advanced than ever before. This program provides training in which you will practice the skills you learn in the classroom, hands-on out in the shop. The shop is set up, like the shops you will be working in upon graduation, to expose you to the work ethic, skills, technology and the cars and light trucks of all makes and models that you will encounter when you enter the workforce. You will be well prepared to graduate and go to work. 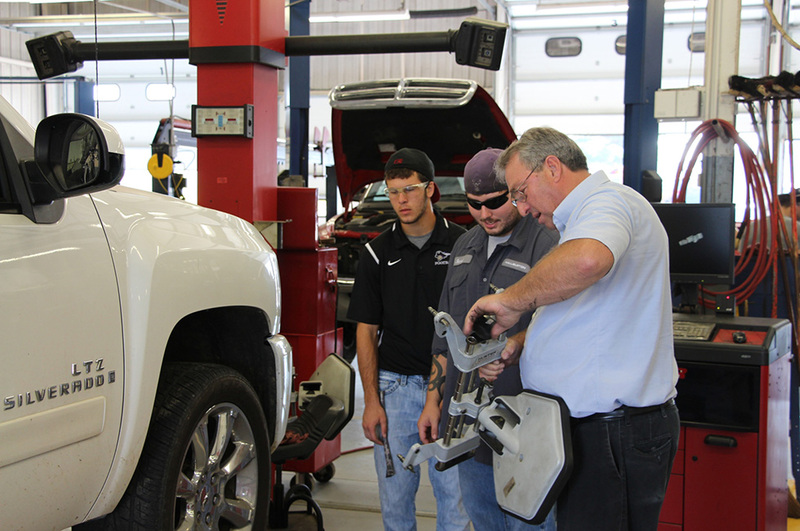 The Automotive Technology program meets the National Institute for Automotive Service Excellence (ASE) standards of quality for the training of automobile technicians, and is accredited by the National Automotive Technicians Education Foundation (NATEF). We offer transfer options with several other universities including: Arkansas State University (A-State) - Jonesboro, Arkansas Tech University, University of Central Arkansas, and more. Below is a link to all of our currently available transfer options.